Synopsis: Ada Twist is a very curious girl who shows perseverance by asking questions and performing experiments to find things out and understand the world. Hi everyone! My name is Miss Erin from Scaleybark library and I’m your friendly neighborhood librarian! I have a very special story to share with you all today. So October was an awesome month here at the library We were celebrating STEAM month. For those of you who may be new to STEAM, STEAM stands for Science, Technology, Engineering, Art and Math and what better way to celebrate STEAM month than with a STEAM and science inspired story. Our story today is called Ada Twist, Scientist. And this book was written by Andrea Beaty, that means she wrote all the words, and it’s illustrated by David Roberts. That means he drew all of the really awesome pictures in the book. Should we get started? Let’s go ahead and find out about new friend, Ada Twist, Scientist. Now, moving right along, there’s something else I wanted to share. So kids if you want to go play, I’m going to take a minute to talk to our parents. All right, Hi Parents! So what I wanted to talk to you about is a really cool initiative the library is doing called, Active Reading. Active Reading is a great way to read with your child and its all based on research and we know that it helps build those early reading skills. Something I know we’re all trying to do. 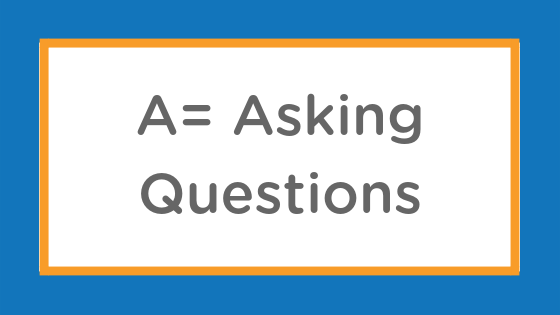 Asking questions increases a child’s participation and encourages them to think about books and build knowledge. What was Ada’s first word? Why did Ada get in trouble with her parents? What was the cause of the terrible stink? Do you know what your first word was? How do you think Ada felt when she got in trouble with her parents? Can you think of other things that are really stinky? Questions are a great way to start a conversation about the book and really engage with your child about what you’re reading.